Let’s take a close look at the following set. 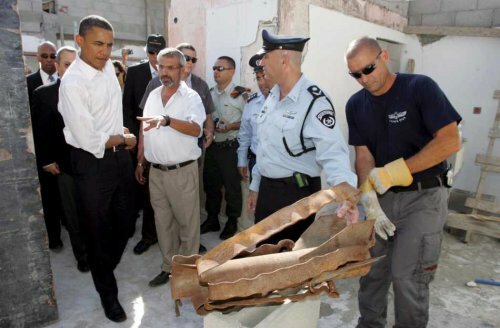 How many photos show Obama in Palestine, vs Israel? Who does he touch, smile with? Where does he lay a wreath and where does he not lay a wreath? What city does he visit afflicted by violence and which does he not visit? Where does he greet people on the street and where is he not shown doing such greeting? What munitions is he shown and which not? Where does he look most troubled? Even prayerful? In which pictures is he shown wearing clothing of devotion? Where else does he don clothing that indicates sympathy? Suppose one photo showed him wearing a kaffiyeh, the scarf usually indicating solidarity with Palestinians? Or laying a wreath at the tomb of Arafat in Ramallah? What can we conclude about Obama’s positions relative to the two peoples? What can we conclude about most future US administration’s positions about the two peoples? Not shown: time with the two peoples: according the Sherif Fam on his WZBC radio broadcast, 45 minutes with the Palestinian president, Abu Mazen, some 30 hours in Israel. 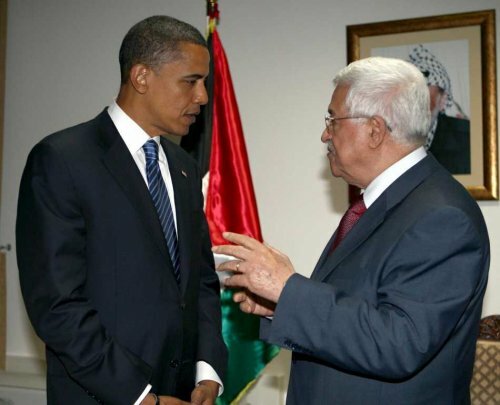 Yes, he did visit Ramallah; McCain refused to meet with Palestinians. Is this progress, does it support a belief that anything significant will change with a new US administration? What can we conclude about Obama’s positions relative to the two peoples based on his time, his itinerary, his body language, his apparel in these photos? Almost nothing, in my view. I hear Obama say repeatedly that he will work for a viable peace as one of his first actions in office. He says the Palestinians must have hope and must have a thriving economy. The Israelis must have the assurance of security, always their ace goal. What Obama does is the important thing, not what he wears. If he were to wear a keffiyeh, in solidarity with the Palestinians (to balance the kipa he wore at the Wailing Wall), the symbolism would be so offensive to the powerful US Senate and Israeli government that we could forget the possibility of their supporting any future resolution to the situation he might try to reach. thanks for your comment. your view is well taken. i might share it. i’m confused. i lean toward thinking his appearance is revelatory. yes, carefully scripted to win friends and influence people, no, it doesn’t seal his positions forever. which is where a populace enters the story. assuming he wins the election, can we the citizenry influence him to shift his apparent position? i wish i could be optimistic. i am hopeful, making the time honored distinction between optimism and hope. optimism about the outcome we expect, hope about the outcome we struggle for, against much evidence.